Success in the videoconferencing segment comes with expanding beyond the meeting room end-point into designing and selling complete end-to-end solutions, including end-points, infrastructure, management tools, recording, and streaming technologies. Videoconferencing technology has come on in leaps and bounds over the last decade, and systems are now found in a broad range of corporate, healthcare, education, and other market sectors. Going forward, what can system designers and integrators do to ensure continued growth in the videoconferencing market? Those technological advances, coupled with an economy that is forcing many businesses to think twice before sending anyone across the country for a meeting, have certainly led to significant growth in the sector. 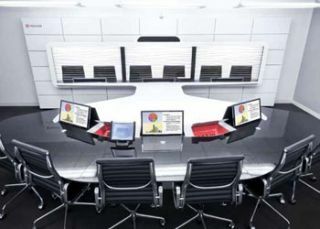 “Business decision makers have acknowledged the value of these types of advanced communications to improve efficiencies, to have a competitive advantage in the marketplace,” confirmed Randy Riebe, director of AV integrator business development for Polycom.